State and federal officials continued working Saturday air, water monitoring quality around the site of Thursday’s refinery explosion and fire in Superior, Wis. The explosion injured at least 20 people, and the subsequent fire sent plumes of noxious smoke into the air and prompted an evacuation order for thousands of people in Superior and the surrounding area. 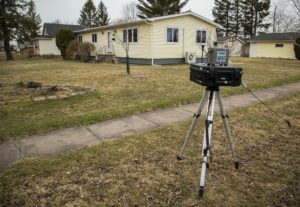 “Since the fire was put out, data shows that there are no elevated levels of chemicals monitored,” the Wisconsin DNR reported in a news release. The DNR said that particulate levels have returned to normal levels. The federal Environmental Protection Agency and refinery officials have been conducting air monitoring. Meanwhile, a team from the DNR was monitoring the water in a nearby creek and other waterways for any possible runoff from firefighting efforts.